For generations, the Oddero family has been crafting wines from some of the greatest vineyards in the Langhe. 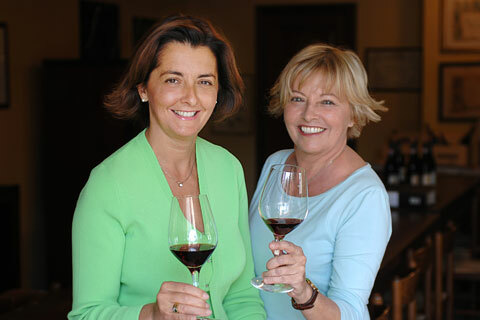 I recently had the pleasure of sitting down with Mariacristina Oddero, who, along with her sister Mariavittoria, comprise the new generation to carry the Oddero legacy into the future. Cristina, thank you for speaking with me today. Prego Giovanni, grazie a lei! Cristina, the first thing I thought about when preparing for this interview was the family split within the winery. This was relatively recent, during 2006. What factors lead to the winery split? Our historical family cellar officially split up in 2006. Now two different companies exist, but only ours is named Oddero and is entitled to the right of using the historical family brand. We kept into our property the historical winery along with all the most historical and prestigious vineyards owned by the Oddero family. Luigi Oddero, brother of my father Giacomo, started his own company keeping on his side mainly the vineyards located in Santa Maria, Borgata Bettolotti di La Morra, a portion in Castiglione Falletto and some in Serralunga d’Alba. Many factors lead to this difficult and suffering decision. Primarily, we had different visions and different objectives for the future of the company and the cooperation was not practical anymore. Our relation with the family of Luigi Oddero is good and stable. Was it a matter of winemaking style? The winemaking style was not the main concern. We didn’t distort our winemaking style from the past; we are loyal to our tradition and identity. What vineyards were retained by Luigi and which by your side of the family? Our company, Oddero Poderi e Cantine, retained all the historical crus of the family: Vigna Rionda in Serralunga d’Alba, Rocche, Villero, Bricco Fiasco, Brunella in Castiglione Falletto, Bussia Soprana, Vigna Mondoca in Monforte d’Alba, Brunate, Bricco Chiesa, Capalot, Roggeri, Bricco San Biagio in La Morra, Gallina in Neive, Vinchio d’Asti for Barbera d’Asti and Cascina Fiori in Trezzo Tinella for Moscato d’Asti. It’s unfortunate that the family winery was split, but it’s not unique at all when it comes to family businesses. I’m glad it turned out well enough. For sure it is not unique, grazie Giovanni. I read on your website that your family philosophy is that you all have a “moral imperative to take care of land”. That’s a huge statement – what exactly do you mean by that? It would seem to go beyond bio-dynamic processes. It means exactly what it says. To us, the respect of the land, of the territory, of our indigenous varieties is a crucial issue. It is part of our core business. We take seriously what we say, so this is not only marketing, but this is part of our everyday work. Starting from the construction of the new winery with minimum environmental impact, to the use of solar energy and geothermia, from the use of recycled paper, glass and all that is possible, to the conversion to organic cultivation and a minimal intervention during winemaking processes. I found it interesting that you have a large grove of Hazelnut trees on the proprety? Where are they in relationship to the vineyards? Do you feel they influence the wines at all? what do you do with them? We own about 5 hectares of hazelnut trees, the prized “Tonda e Gentile IGP” variety, world famous for its aromatics and gentle taste. This is a typical kind of cultivation in the Langhe area, the trees are planted in the lower parts of the hills, where it is not possible to plant vineyards. In the past we also had different kinds of fruit trees and we recently converted some of them into hazelnut trees. We now have our hazelnuts toasted and then cover them with dark chocolate. We sell them to our customers. It was your family’s stated goal that by 2011 your key vineyards would be certified organic. Has this happened? What did you need to accomplish in order to gain the certification? Why do you think it is important? We started our conversion from sustainable to organic cultivation in 2009. It takes three years to receive the official certification from approved institutions in Italy. We are about to receive it. We decided to start the conversion gradually, step by step, starting with some of the most important vineyards in the Barolo d.o.c.g. area and adding more and more vineyards over the years. Requirements needed are: no chemical weeding, but mechanical operations among rows and stumps, no spraying with chemical components to treat diseases, the elements predominantly admitted are only sulphur and copper, together with the use of piretrum against insects. Use of the sexual confusion techniques in order to avoid the reproduction of moth populations. No chemical fertilizers are allowed, only the ones that are of animal origin. We use organic matter after the harvest, only if necessary. No use of anti-botrytis. I’ve said this before and I always laugh when I’m reminded of it. It starts and ends with farming, doesn’t it? With the Cantina at the top of the hill and an antique press below, the vineyards of Oddero lie between. Giacomo has stated: “I’m an old wine-grower with two daughters and three wonderful grandchildren, I’ve just reached my 80s but I’m still lively and lucid. I recite the classics, I read Shakespeare, Manzoni, Pavese and Fenoglio.” Good for him! What role does he still play in the winery? Is he still active with production, blending, tasting? Giacomo Oddero is our mentor and guide. He is still very active and plays a key role in the winery. He is our wisdom and historical memory, he knows everything of the company and he is aware of any past episode concerning the local area. He participated in the creation of the greatness of the Langhe region as we see it today. He spent all his life in promoting this territory, not only Oddero wines, and we are proud and thankful for his job. He is 86 years old now. Is your sister, Mariavittoria, involved with the everyday operations of the winery? What is her role, if any? My older sister Mariavittoria Oddero is proprietor with me of the Oddero company. She is a medical doctor and she is not involved in the everyday routine at the winery. Her daughter, Isabella Boffa, has been working for more than 5 years now in the winery and she is the future of Oddero together with my son Pietro. Luca Veglio is your young, energetic winemaker. Does he have complete control over the house style? Who assists him? Do you have a consulting enologist? Luca Veglio started to work at Oddero winery in 2001 after some brief experiences in other wineries in the area. He comes from Valle Talloria and has been living in close contact with vines since he was a little child. I can easily say that he is considered a member of the family. He works with devotion and passion and he is supported by a professional staff of employees that help him in a consistent way. We are a good team: Luca, Diego, Ivan, Isabella my niece, and me. He is in charge of winemaking, but he is assisted by all of us and we together are responsible of any decision about the wines. We do not have a consulting oenologist. Sergio Blengio is your viticulturalist. What are some of the challenges he sees? A recent interview I conducted with Mastrojanni indicated that they were concerned with global warming. It used to be that a string of great vintages was an anomaly in Piedmont and now it seems like the norm. The summers are hotter and dryer. Is Sergio concerned? What can you do to adjust? Global warning is certainly a true challenge. We need to live together with it. It is necessary to work properly and to have in mind the bad aspects concerned with global warming so as to limit their influence: water shortage, sun burning on the skins, anticipating the harvest, lower acidity, higher alcohol. We need to work with more care during the winter in order to accumulate water in the ground, to remove weeds more frequently, to establish a more accurate management of the leaves around the grapes, and to adopt a more attentive timing during harvest. Barolo – there’s always an apparent chasm it seems between “new wave” and “old guard”. I suspect this philosophy was part of the reason for the split of the winery. 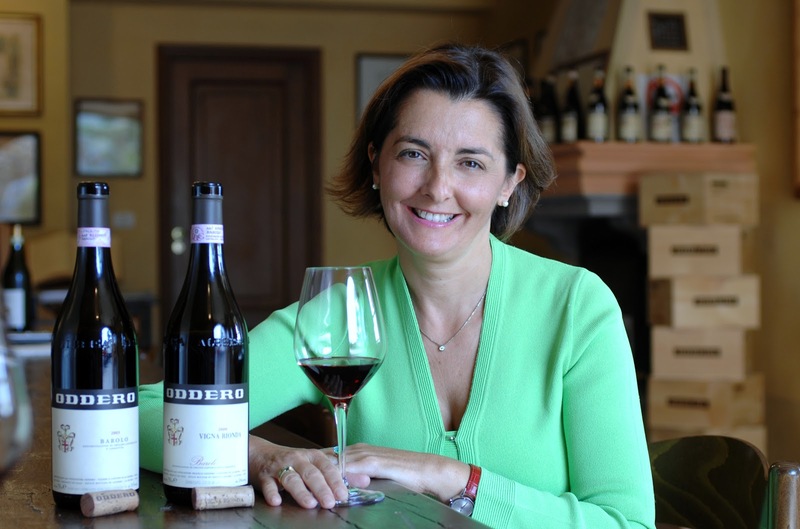 What is Oddero’s stance on barrique aged Barolo versus Botte aged Barolo? Are you as staunch a traditionalist as Bartolo Mascarello? As modern as Sandrone? Or somewhere in the middle? Do you take different stylistic approaches regarding oak with your various Cru Barolo? We haven’t changed our winemaking style from the past at all. We have always believed in the tradition of Barolo and we are not willing to change our philosophy only for the purpose of following the market or pleasing the international palate. We prefer to use Slavonian or Austrian large barrels (botti grandi) for ageing our Nebbiolo. However, I don’t think that barriques are devilish instruments. I don’t like rigid DOGMAS in winemaking. I know that barriques can be a good oenological instrument if used with proper care. It is necessary to select the right quality of oak, judging carefully both grain and toasting. Nebbiolo is a delicate variety and the wines obtained with it are extremely sensitive to the kind of oak and to the toasting. I think this is the crucial point. We do use the same approach on all our Barolo crus. It’s the different personality given by the vineyard itself (soil, specific microclimate) that is speaking in the glass of wine. We use a lot of care when selecting grapes during our manual harvest; both in the vineyard and in the cellar with manual selection on the conveyor belt. The pressing is extremely delicate and soft, alcoholic fermentation takes place in regular stainless steel tanks with long maceration periods (more than 25 days). We also have regular pumping-over. We don’t use roto-macerators. We want our bottles to express the true Piedmontese terroir. We deeply believe in our tradition, which is our strength. We believe in a tradition meaning respect of our oenological patrimony and appreciation of terroir. What can I say but Bravo! It’s exciting to hear the passion for tradition while still admitting that more modern innovations can be used if used correctly and judiciously. Balance, yes? So balance extends to all aspects then – from vineyard to cellar. Do you believe great wines made in the vineyard by nature or in the cellar by the winemaker? Should the winemaker be a minimalist or an interventionist? We believe that wine is made by the conjunction of several elements: soil, sun, nature and a delicate and respectful human approach. We aim to express the small nuances given by the soil and the natural characteristics of our indigenous varieties. We are lucky enough to have the opportunity to work on an extraordinary soil and microclimate for vine growing. Our wines come from the vineyards, they are not “created” in the cellar. 90% of our efforts are made in the vineyards’ operations. We believe in minimal intervention in winemaking process. There is no need to add anything to healthy and ripe grapes. Which vineyard produces your most approachable Barolo? Which one produces the most masculine longest lived Barolo? Barolo Classico is our most approachable Barolo. It is obtained with the blend of two parcels from La Morra (Bricco Chiesa and Capalot) and one vineyard from Castiglione Falletto, Bricco Fiasco. Barolo Vigna Rionda from Serralunga d’Alba is generally the most long lived Barolo. It is an important Barolo with austere and long lasting tannins. 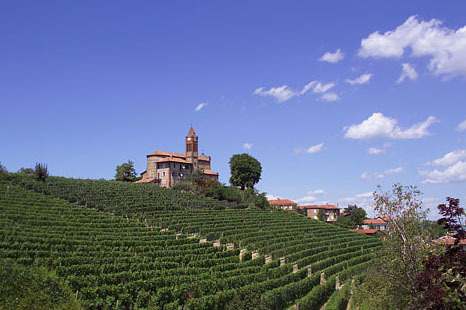 It is one of the most prestigious vineyards in the whole Barolo area. I consider Vigna Rionda as one of the best Grand Crus in the Langhe region. A selfish question just for me! I mentioned earlier that I have a 3L of your 2004 Estate Barolo. When should I open that? 2004 vintage was an important year in Piemonte. Good structure, good balance. I think you can open your 3L and enjoy it now! The wine should be drinking wonderfully. However, I am sure that 2004 will age very well – especially in the larger format. How about 2008? I recently had many outstanding 2008 Barolo at the Slow Wine VinItaly tasting in New York. The vintage seems to be outstanding. Full of fruit for near term enjoyment but with excellent structure for aging potential. How do you feel about 2008 for Oddero? We personally love the 2008 vintage. It is a classic and pure expression of Nebbiolo. Elegant and balanced in structure; drinkable and refined. It reminds me of some traditional vintages from the past with good acidity and freshness, not too aggressive tannins, a balanced finish on the palate. We are satisfied with the results we have with our wines in this vintage. What challenges are facing Oddero today? Our priority right now concerns the gradual conversion to organic cultivation of the entire property. It is not a simple thing to convert 35 hectares of vines. Our vineyards are fragmented in different areas of the Langhe region and, for this reason, are extremely diversified. We take this aspect very seriously and we want to have the best results for the vines. Obviously, this is extremely expensive, especially because of the higher costs forworkers and of mechanical weeding. Moreover, we are completing the construction of the new winery and this is also an important project for us. The new winery will host our historical library of old bottles of Barolo starting from the 1950s and a large space for our oak barrels. It is a construction in harmony with the local environment, a part is underground with a “green roof” to help maintain the right temperature inside so as to avoid wasting energy and H2O. Another fundamental challenge is to improve our brand awareness in the world, by finding the right partners in the most important markets, by assisting our customers with constant information and service, and by implementing our communication with new tools. Exciting times Cristina! Hopefully, doing interviews like this and interacting on Twitter will help with that last part. And as I taste your wines, I will publish the notes on all Social media outlets. What about challenges facing the Barolo zone specifically? It seems to me that higher pricing is alienating some consumers – do you think pricing is getting too high? I don’t think Barolo pricing is getting too high. The costs to produce this wine are extremely expensive. The yields in the vineyards are lower and lower due to quality parameters. The organic conversion adds even more costs. The decision to age the wines longer in barrel before release on the market adds more costs. The severe disciplinary selection makes costs higher compared to other denominations that have larger productions. The general availability of this denomination is not huge. Harvest after harvest the quality of the wines are increasing consistently. If we compare Barolo prices to those of the other great wines from wine regions in the world, I don’t think Barolo prices are too high, considering the limited production of this denomination. Oddero is well known for maintaining a good relation price-quality. Very interesting perspective, thanks for sharing that. It’s interesting to gain insight to the producer’s viewpoint on this subject and I would agree, Oddero wines represent very good value. Years back, Angelo Gaja removed the Barbaresco designation from his 3 most famous wines in order to reduce aging, blend with Barbera, etc… How was that received in Piemonte? Gaja is a great winemaker, an extraordinary talented businessman and communicator. His name and his great wines helped the wines from the Langhe area to be known and respected amongst the most famous wines of the world and we all recognize his merits. Having said that, we have different views on several aspects about wines and winemaking. It is a matter of different choices and different philosophy. He chose a different pattern and path than ours. Cristina, in wrapping up, this final question has become a tradition here at TuscanVines. After a long day working the vineyards and cellars – What does your winemaker Luca like to drink? What do you uncork for yourself regularly? After a long day working the vineyards and cellars, Luca enjoys drinking a fresh beer! Other than Oddero wines, Luca regularly drinks our regional wines, like Dolcetto and Ruchè. Luca also likes 100% Sangiovese wines from the central part of Italy, he loves drinking white wines from Trentino Alto Adige, like Kerner and Gruner Veltliner, rich in acidity, with good aromatics and an excellent longevity. Outside of Italy, naturally, his homeland is Burgundy. He loves Pinot Noir, and he is interested in Pinot from Alto Adige too. He spent his honeymoon last year driving in Champagne region, visiting some big maisons and also some smaller vignerons. Cristina, thank you so much for the excellent responses and for joining me today. Ci vediamo in Piemonte. Giovanni, the pleasure was mine, truly. A great job. Thank you Giovanni. I look to read more. Thanks for reading and commenting. Cristina really was great and I've got more Piedmont interviews lined up including Elisa Scavino and Pio Boffa. Stay tuned!